While this may not be new news, nor is it even American, I was still thrilled to stumble upon a print campaign that Penguin Book in Malaysia did to represent the “unputdownable” nature of some of our favorite classic novels. 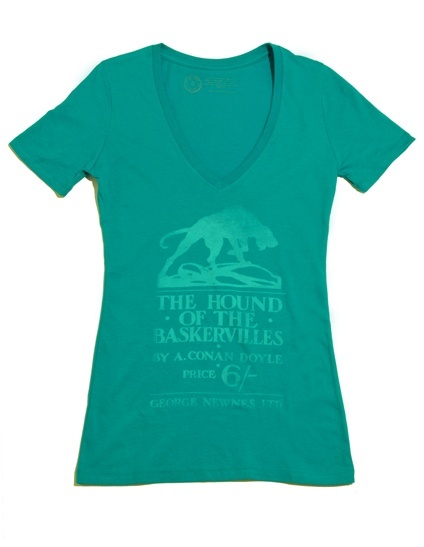 While I admit that my initial attraction to this campaign came when one of the books featured was Sir Arthur Conan Doyle’s The Hound of the Baskervilles, I find the whole campaign in general incredibly charming. The agency, Saatchi & Saatchi, is based out of Malaysia, which is where this campaign ran in 2009. I only found the pictures after randomly ‘surfing’ the web, but I’m happy to have stumbled upon them and share them with you. So what do you think? My latest reading ventures have led me into the pages of the biography “The Adventures of Arthur Conan Doyle” by Russell Miller. As a Sherlock Holmes fanatic, I know just about everything about the wonderous fictional character that Conan Doyle created (including the author’s own disdain for Mr. Holmes). In more recent years, especially after reading the novel “George and Arthur” by Julian Barnes, I’ve become fascinated with the man behind the world’s greatest (and only) consulting detective. Arthur Conan Doyle is a character in his own right, and his own life story is more than worthy of the pages of a bestseller. Reading this biography is nearly as thrilling as reading one of the Holmes and Watson stories. As I’ve been reading, I’ve learned a lot about the man as both an individual and an author. I’ve also been reminded of several things I already knew–for instance, Conan Doyle was a doctor who, after a less than successful ophthalmology practice, decided he was more passionate about writing and was rightfully convinced that he could make a living from it. And yet, even before he opened his eye doctor practice, Sir Arthur Conan Doyle began his first practice outside of London with seemingly similar success–at least at first. He advertised his services as a general practitioner, but the client flow was slow, and Dr. Doyle soon turned to some interesting techniques in an attempt to draw clientele. Undoubtably Dr. Doyle had a way with words in his novels and short stories, but I was surprised (and impressed) to find that his brilliance even extended as far as self-promotion. His cleverly worded “ad” would make PR practitioners of today proud. Wording is everything, and Conan Doyle clearly knew how to position his message to the proper audience. By thinking of him as an established doctor, people would be more willing to consult him. Conan Doyle’s little story runs like a modern-day press release, while working to get him some much-needed publicity. Of course, all through his life Conan Doyle showed a distinct ability to relate to his audience, making him a beloved and personable national treasure. These are just two examples that truly jumped off the page at me as I read about this marvelously interesting man. It just goes to show that even one of Britain’s greatest writers was not above a bit of self-promotion. 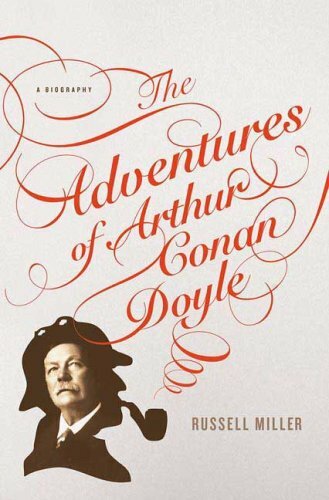 I can’t wait to read on and find out more about the man, and I highly suggest that if you have any interest in either Sherlock Holmes or the man who created him, pick up a copy of Russell Miller’s “The Adventures of Arthur Conan Doyle,” from which I quoted in this blog. In addition to spreading the joy of reading through our tees, we acknowledge that many parts of the world don’t have access to books at all. We are working to change that. For each shirt we sell, one book is donated to a community in need through our partner Books For Africa.